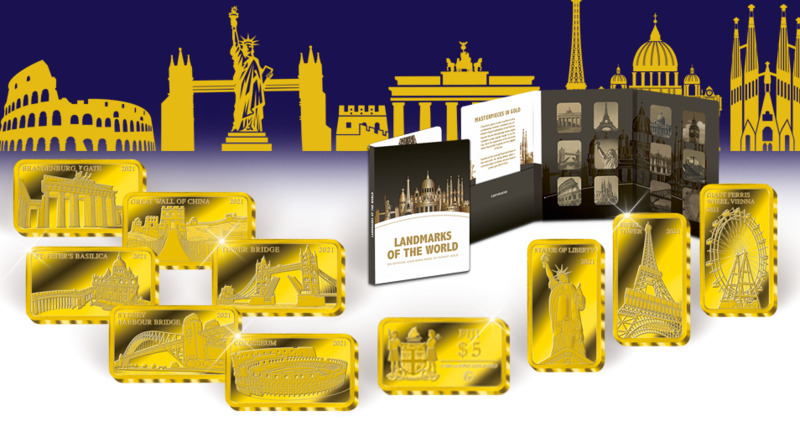 Discover the Most Famous Landmarks of the World! Build your customer base for the 1/2g Gold edition – affordable for everyone! MDM‘s most successful collection – carefully crafted purest Gold .9999 ingots! With 12 new motifs the collector can travel around the world and discover the most famous sights in one beautiful collection. Including a specially designed collector’s album. An individual packaging is also available for single offers! Create your own collection with the best selling motifs in your market!